This picture was sent in by KW from a restaurant the name of which he does not recall. He writes: "At the southern end of Del Mar, the ocean front street, is a small bar/restaurant. 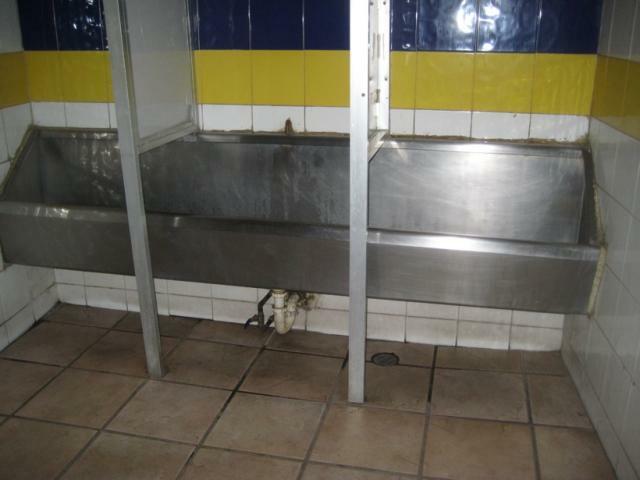 Its urinal is somewhat unusual for having privacy screens set over a typical metal trough."